petition: Pledge to Put your Pet's Safety First! Pledge to Put your Pet's Safety First! Did you know feeding your dog the wrong-sized treat could put them in life-threatening danger? If a treat is too small, it could become lodged in their windpipe or stuck on the palate, potentially causing them to choke. If a treat is too hard or too large, your dog could break his/her teeth or attempt to break it into more manageable yet potentially dangerous bite-sized treats. Imagine if this were to happen when you were not around to help your four-legged family member. 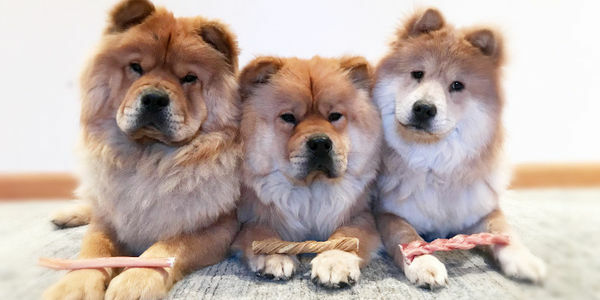 While all dogs have a natural urge to chew, each has unique preferences and chews at different rates, called "Chew Personalities." Understanding your dog's chew personality is one of the most important factors when selecting a tasty yet safe treat or chew; power chewers need durable chews, for example, while nibblers prefer softer chews. Take the pledge to put your pet's safety first by identifying their chew personality and giving them the appropriate treats and chews. And if you sign up to hear more from Redbarn Pet Products, we'll provide you with important and helpful tips on pet safety and nutrition.